This site collects our hiking and travel journals in mostly chronological order. 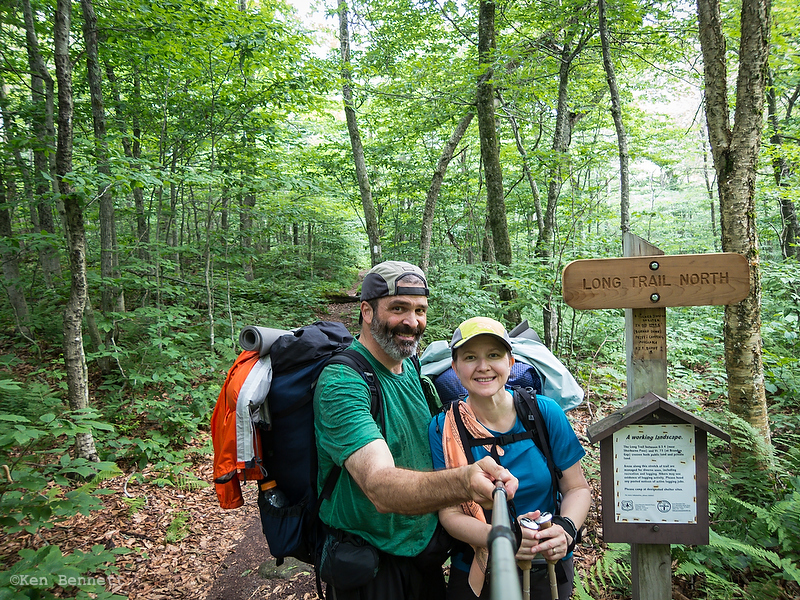 It started as a journal of our July, 2014, End to End hike of The Long Trail in Vermont, a 273-mile hiking trail that runs the length of the Green Mountains from Massachusetts to Canada. Here is a quick link to that journal. We’ve since been adding our journal entries from other hikes and travels, both recent and in the past. We’ve just purchased a TAXA Outdoors Cricket camping trailer for our weekend and longer camping trips to state and national parks and music festivals. We’ll post stories about our experiences with the Cricket, too. Hello Big Cranky and Dragonfly. So glad you enjoyed your Long Trail hike. Up here in Vermont we’re really proud of our beautiful, rugged trail. I just wanted to correct one misimpression that you had on Pico Peak and Killington Mt.. The warning signs on the ski trails have nothing to do with the Long Trail. They’re intended for skiers who persist in skiing “off terrain” and “out of bounds” on the back sides of the mountains. This has become extremely popular and every winter weekend hundreds of local skiers safely enjoy the backcountry this way, but every year a few dozen idiots (invariably from Massachusetts) who don’t know what they’re doing end up lost in some hollow in the dark with no cell service and temperatures falling below zero. Then the local mountain rescue crews, state police, etc., have to conduct searches in the middle of the night looking for them, which is difficult, dangerous and expensive for those involved. It’s a big problem up here, hence the signs, for whatever good they do. Happy trails! John Page, President, Green Mt. Club.